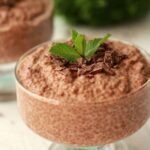 The awesome thing about this chocolate chia pudding is that you know you’re eating something super healthy. 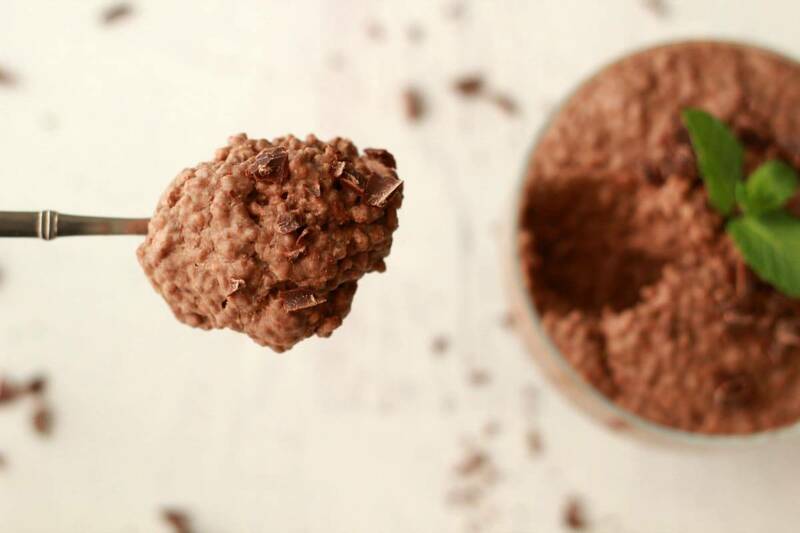 But while being ridiculously good for you it still manages to be insanely delicious. 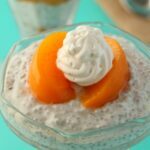 I’ve always had a thing for chia pudding, as evidenced by the fact that there is already an awesome recipe for chia pudding on this site, that would be the peaches and cream chia pudding! And then there’s the fact that this is a really easy dessert to whip together. 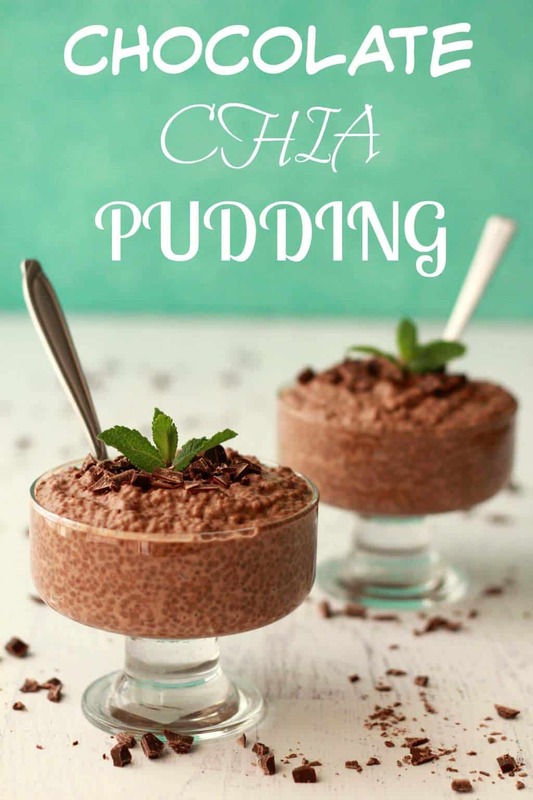 It’s just a case of throwing some chia seeds and cocoa powder into a bowl, pouring on some coconut milk and maple syrup or date honey and whisking until it’s all well mixed. Then you just place it into the fridge for 30 minutes. If you take it out for a stir half way through, that’s good, but if you forget, that’s also fine (I forgot! ), you can just stir it a bit more vigorously at the 30 minute mark. Then you divide it into bowls and serve! 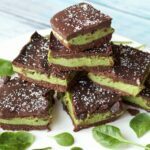 If you serve it with some dark chocolate pieces and mint leaves, well, that’s even better! It’s best served right away, if you leave it in the fridge overnight, it sets more and more firmly until it’s quite solid, which is less good. As you see it served here, it’s a delicious consistency, very ‘pudding-like’ in all the good ways. It’s actually so healthy this is a pudding you would be perfectly justified in having for breakfast! Yes, pudding for breakfast, life is just that good. 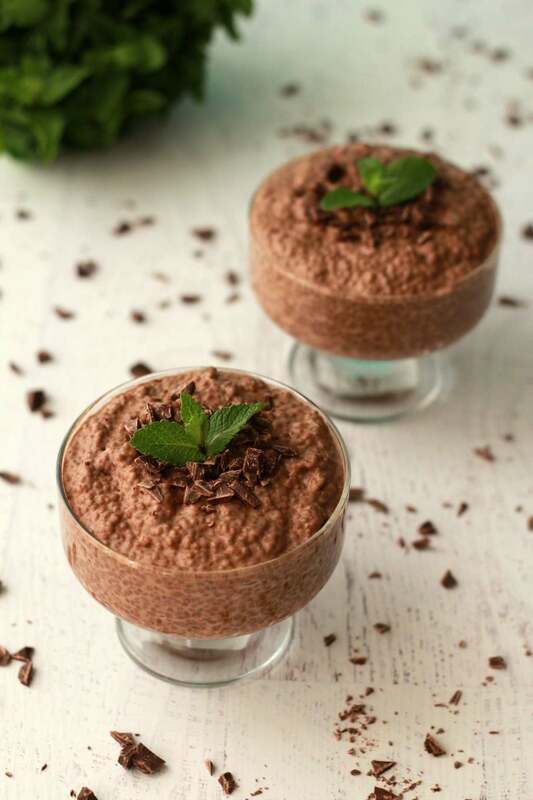 So let me know what you think of these gorgeous chocolate chia puddings in the comments below and please rate the recipe too! Sign up to our email list for a fabulous ebook containing 10 delicious dinner recipes and to stay updated with all our latest recipes posted to the blog! 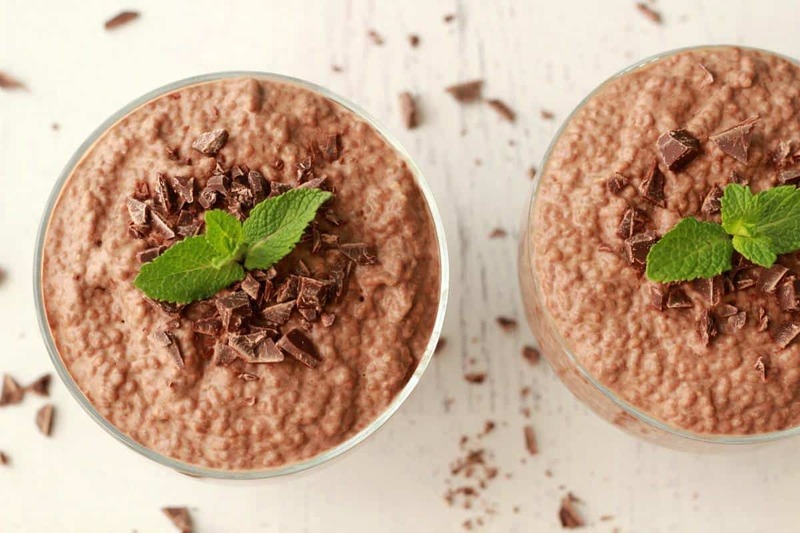 Easy 30-minute chocolate chia pudding. 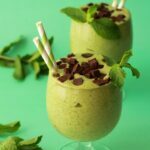 So healthy you can have it for breakfast! 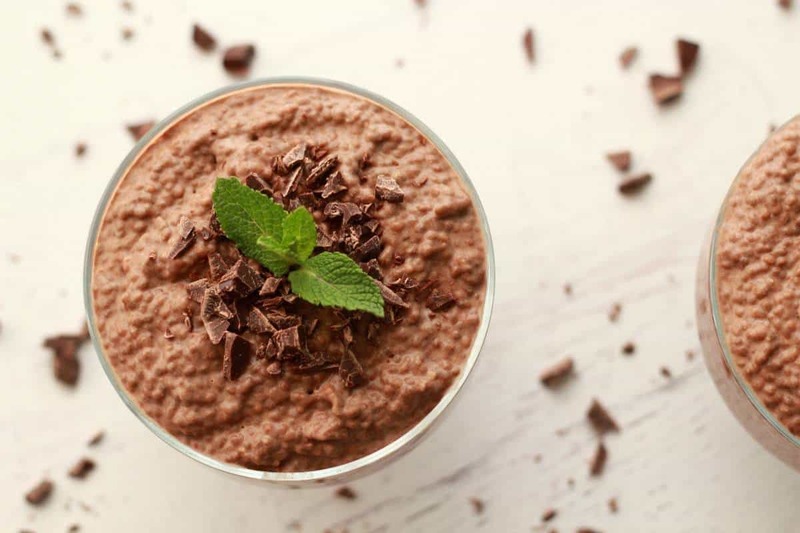 Creamy, rich, chocolatey and delicious! 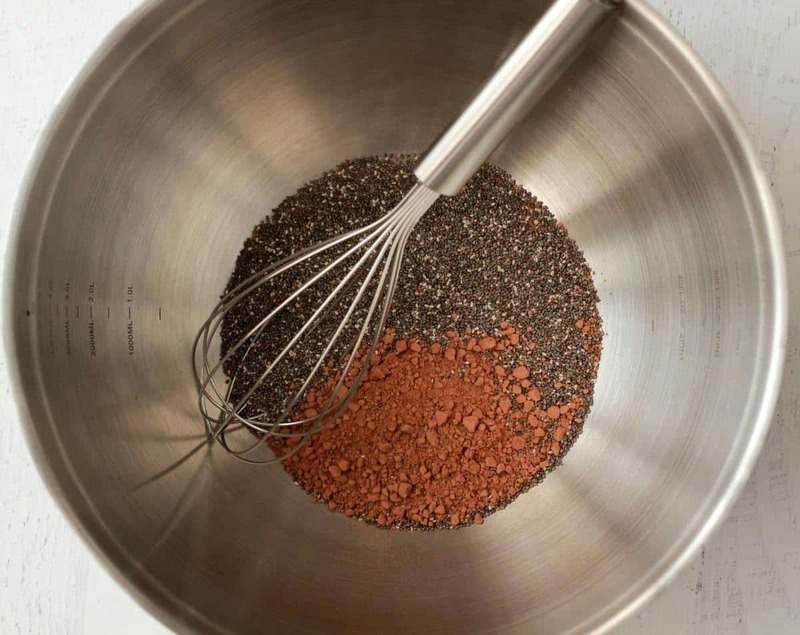 Add the chia seeds and cocoa powder to a mixing bowl. Pour in the coconut milk and maple syrup and whisk it up until well mixed. Then place the mixing bowl into the fridge for 30 minutes. At around the 15 minute mark, take the bowl out and give it a stir. After 30 minutes, serve with some dark chocolate pieces and mint leaves (optional). This is so perfect because I just bought my first package of Chia seeds yesterday and I have no idea what to do with them. 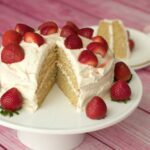 I’m going to whip this up for dessert TONIGHT! Can you use almond milk for this or does it have to be coconut? I usually have almond on hand but we rarely, if ever, keep coconut milk in the house. Just curious if it makes a difference. Yes you can, but it would be less rich. 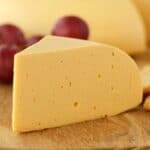 Reason being that canned coconut milk has a high fat percentage and is very rich and creamy whereas almond milk is not. Either one would work fine though. 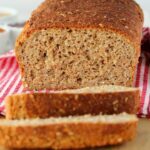 I’ve eaten chia seeds before and really liked the taste and texture, so I went and bought some but I had no idea what to do with them until I saw this recipe. So good! Best breakfast. I am not a big fan of chia, but I used it because it is so healthy. This is the first time I try chia pudding and IT IS SOOO GOOD! 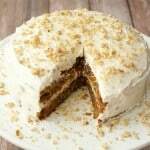 I used jaggery cane sugar instead of maple syrup, and added a little vanilla and cinnamon. 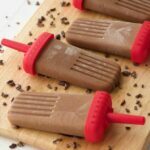 And served with cacao nibs instead of dark chocolate. This is a keeper. Thanks for the recipe. 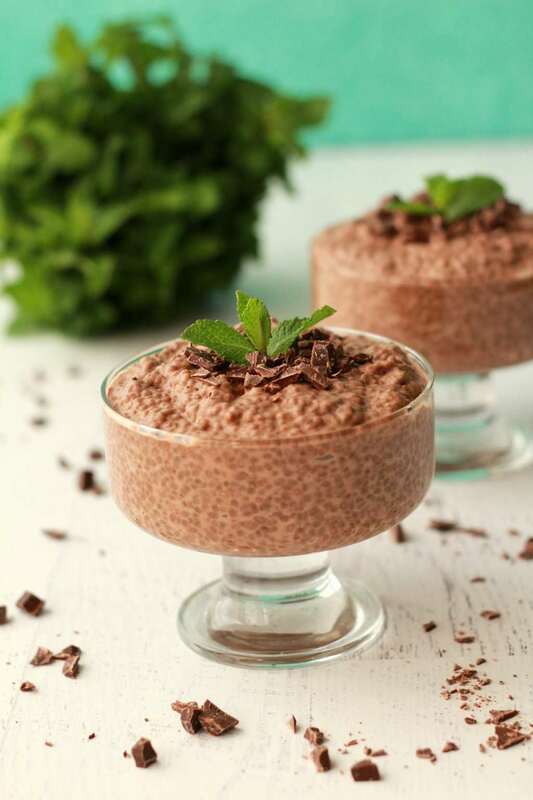 How long can you keep the chia seed pudding in your fridge? A few days should be fine if it’s kept covered. 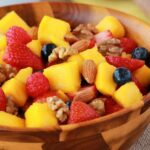 Do i use canned coconut milk or coconut milk in a carton? This recipe is great for lots of reasons – it’s quick and easy and ready to eat in 30 minutes. It’s also delicious and satisfying. I didn’t have any canned coconut milk on hand, but was eager to make it so I used soy milk and added two Tbsp of melted coconut oil to make up for the fact that soy milk is less creamy and lower fat. It turned out great. I will definitely be making this again. I stored it in small mason jars – perfect size for one serving. 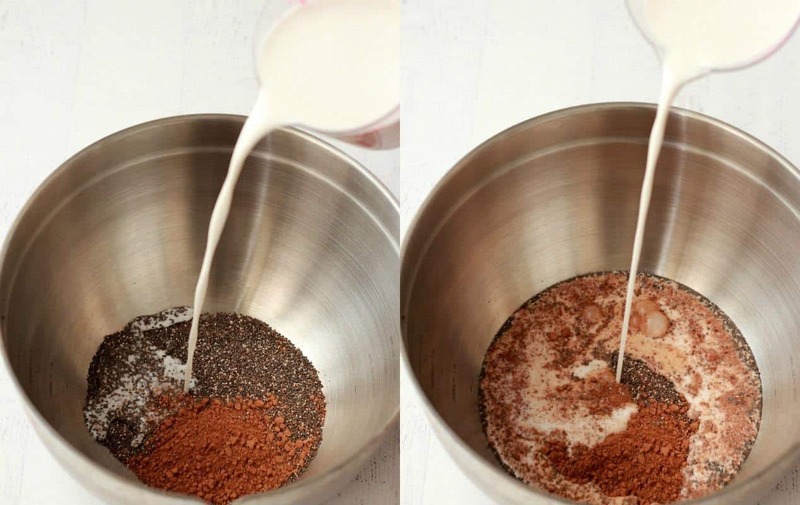 Can you use regular milk instead of the Almond or Coconut milk? 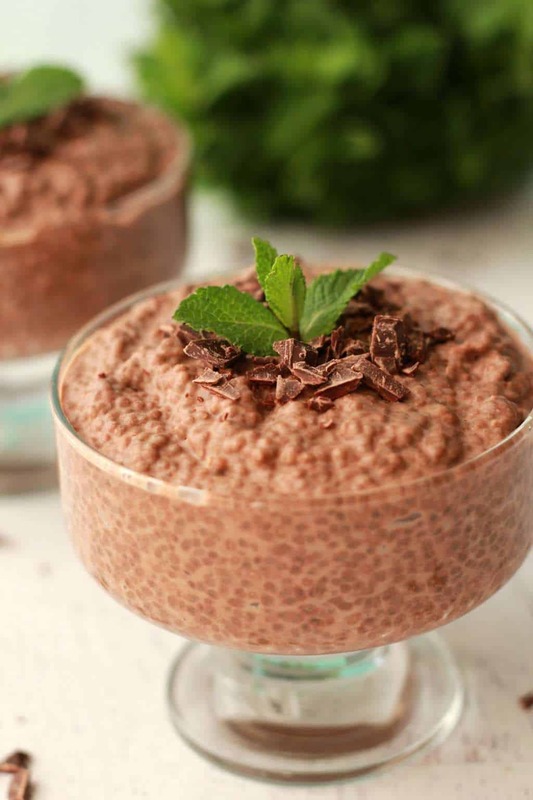 You can, but the reason I use coconut milk (canned, full fat) is that it’s very rich so makes a really delicious tasting chia pudding. I am not keen on almond milk for this as it’s too thin but in theory you can use any milk it’s just not going to be as good but that’s also personal preference. I like to grind the chia seed in a spice grinder first and I also use stevia as the sweetner to make it keto. It makes it very smooth and sweet. Yum! Thanks for the recipe! So yummy and husband approved. 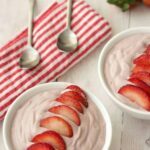 I usually serve it over frozen berries, and it’s so delish. Just made it but with a couple substitutions. Was a bit short on chia seeds so I added some hemp hearts. And I’m not doing sugar or syrup so I blended my full fat coconut milk with a couple of rounded tablespoons of swerve sweetener before I mixed it with the raw cacao and seeds. So incredible! Definitely a keeper and lower carb for me, which is what I need.